If you're in a place where Halloween is celebrated, you're used to seeing lots of small ghosts and witches about, not to mention images of spiders and snakes and skulls. But if you knew that the sky contained such things, would you stay at home and hide? I hope not, because they represent interesting astronomical objects, and I can assure you that our virtual tour will be quite safe. I admit that I wouldn't want to meet this cosmic ghost in a dark and lonely place. Fortunately, it's a nebula about 1400 light years away in the constellation Cepheus. Nebulae are giant clouds of gas and dust in the space between the stars. 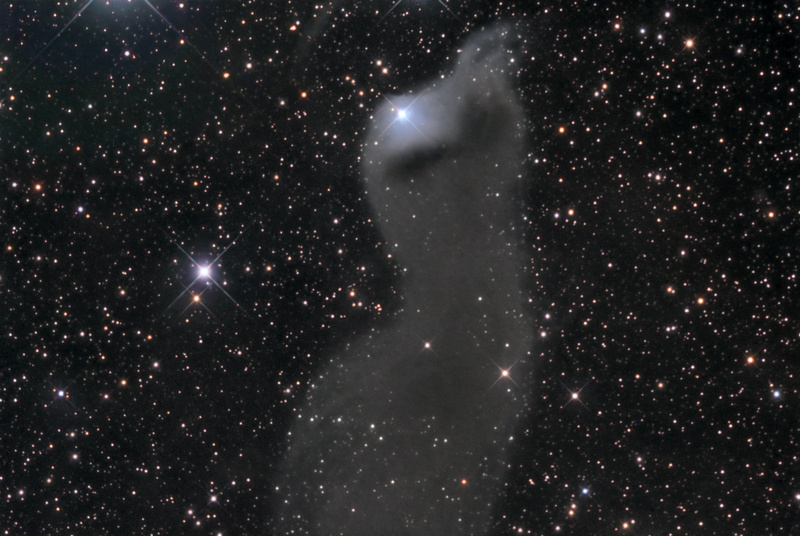 The nebula is cataloged as vdB 152, and is often described as a "ghostly apparition". In the picture it does look like the popular image of a ghost. It's a reflection nebulae where dust is absorbing red light and scattering blue light from nearby stars. What is Halloween without a scary witch? You see her profile in the Witch Head Nebula. She's looking towards the bright star Rigel in the constellation Orion. 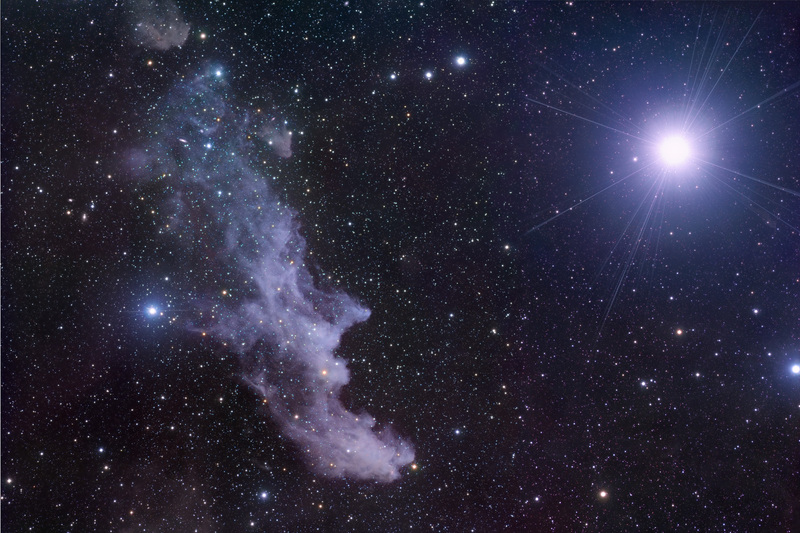 The Witch Head is another reflection nebula, but it's closer to us than the ghostly nebula, and it's lit by a very bright star. This is why the color is more intense. Of course a celestial witch needs some celestial transport. The Witch's Broom Nebula is part of the Veil Nebula, an enormous supernova remnant. 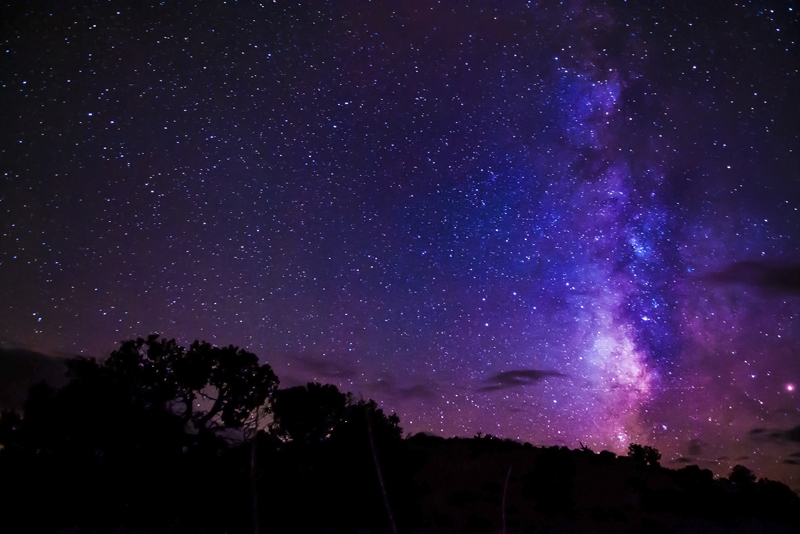 It formed from material thrown out when a massive star exploded at the end of its life. There are two snakes among the 88 constellations. 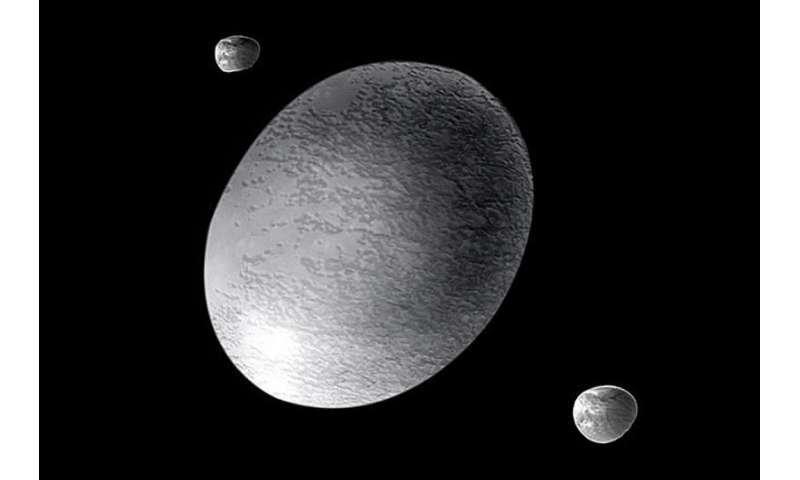 In fact, the largest of all the constellations is Hydra the water snake. In Greek mythology one of the labors of Hercules was to kill the hydra and put an end to its raids on the nearby countryside. The constellation has only one head and would scarcely have needed a hero of the stature of Hercules to deal with it, but the Hydra of myth had nine heads. 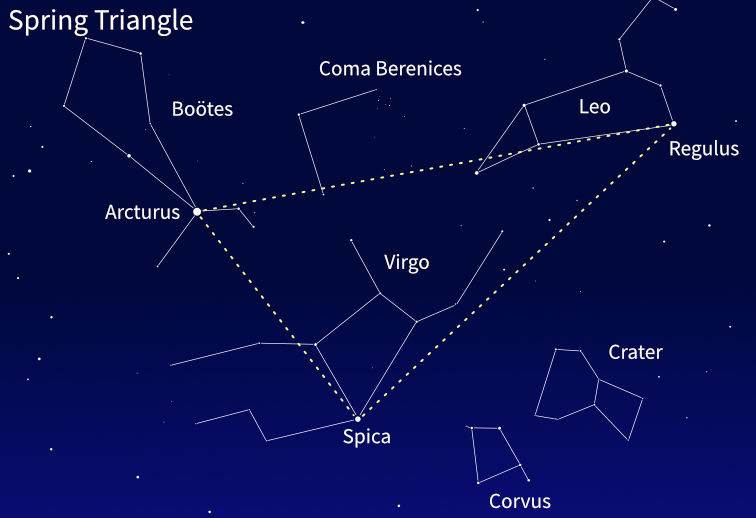 A second snake, the constellation Serpens, is more benign. It's held in the sky by Ophiuchus, a constellation representing Asclepius the god of medicine. His symbol is a rod with a snake twined around it. Features that resemble spider webs are common and Spider Crater looks like a spider waiting in its web. It's a feature in the Caloris Basin on the planet Mercury. NASA's Messenger probe took the picture of this dramatic impact crater. The final stop on our Halloween tour is the most spectacular, a giant fiery skull that would be great for a horror film. It looks as though there are eyes in the skull of a tormented or terrible being. Yet it's simply an X-ray picture of the Perseus Cluster of Galaxies. We've seen some pretty big things on our tour, but nothing like this. The cluster contains thousands of galaxies and is about a hundred thousand light years across. In fact, the image isn't of the galaxies themselves, but of the X-rays given out by the gas between the galaxies. So bright areas, such as the one at the center, are regions of strong X-ray emission. Scientists think this one is likely to be a supermassive black hole. Images of all the objects mentioned in this article can be found on my Pinterest board Cosmic Halloween.